Nutrition is a science, but eating is a behavior. 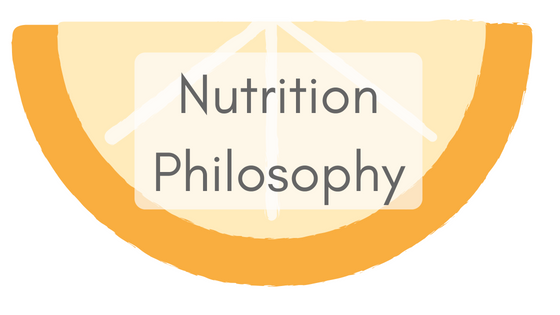 Understanding the foundations of nutrition from a biochemical and physiological perspective is essential for effectively communicating basic nutrition/health concepts and interpreting new research. However, eating is much more than science. It’s a complex and very individual behavior. Our focus is to meld the science of nutrition with realistic and approachable techniques towards making behavior changes that both bring joy and health to your life. The relationship we develop with clients is just as important in achieving a successful outcome as the information and direction we provide. Our goal is to create an open and comfortable environment that supports and encourages active two-way communication. This is true for our individual nutrition counseling clients as well as the brands and organizations we work with. We believe that nutrition needs should be fulfilled through eating a well planned diet based on a variety of wholesome, natural foods. Dietary supplements are appropriate when used to fill gaps in the diet, ensure nutritional adequacy, and optimize health. Active involvement in professional organizations and attendance of professional conferences is an essential part of staying current with nutrition research and advances in the profession. Staying up-to-date with current trends, media coverage, and consumer attitudes in nutrition is equally important.